What’s in a bag? Stuff, generally, but on a deeper more philosophical level, what makes a particular bag good at what it does versus every other bags out there in the world today? They’re all just a pouch with zippers and straps on the back, right? Well, if you travel enough, you’re probably on the same page as me when it comes to hauling your things from point A to point B (and all points beyond). Nothing can take away from the fun and excitement of exploring a new destination more than the feeling of exhaustion and pain that can come from lugging around a heavy suitcase or uncomfortable bag everywhere you go. And what about the amount of stuff a bag allows you to take with? My philosophy when it comes to travel is to pack light but to still bring enough to keep me comfortable and happy no matter what the destination. Packing too much not only leads to bearing more weight (and wearing out your patience) but it also leads to having less time immersed in your destination (whether it be constantly having to repack your bag or the extra decision making time involved in having exponentially more items at your disposal). Travel enough and the benefits of a travel philosophy like Onebagging or Ultralite Packing will start to become apparent very quickly. Functionality is key, but I’m also focused on finding something that looks good and holds up just as well as it works. 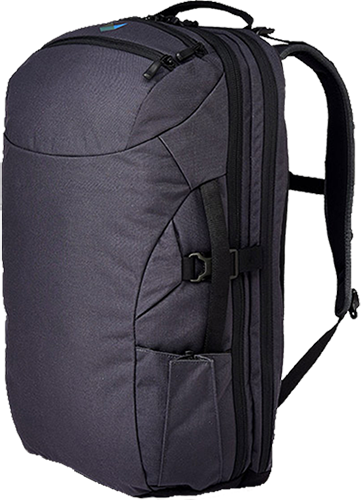 Fortunately for me, there seems to have been an explosion of quality bag manufacturers over the last 10 years or so churning out thoughtful and well designed products for every category of traveler. However, reading up on reviews and watching countless Youtube videos can only yield so much information. If I was really invested in this search I’d have to actually, you know, invest in a bag or two and see for myself just what works. So on that note, you will find a series of quick reviews below for each bag I’ve tested in this search. Bags that didn’t make the cut have been noted, this doesn’t mean the bag sucked necessarily (if I spent money on it chances are I took my time and did my research), but for my specific needs while traveling, and partially due to my desire to not own a ton of bags I’ll never use, I’ve moved on to other products. 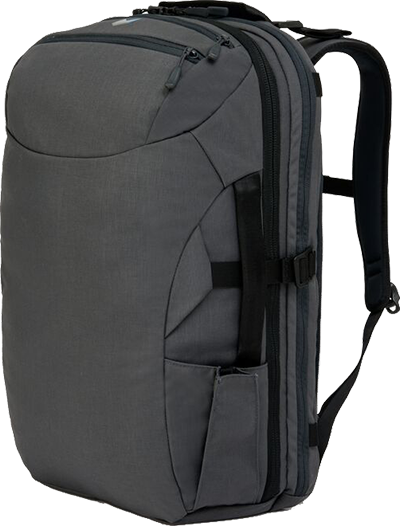 Likes: One of the most practical and well thought-out travel backpacks available, plenty of space inside and just enough pockets/compartments for extra organization, solidly constructed from beautiful materials, minimal and unassuming aesthetic, better organizer in the laptop compartment than the Minaal Carry-on 2.0. Dislikes: Not too many, the awkward water bottle holder is still there but it is a useful compartment, the laptop area has less padding than the 2.0 but is easier to use and unzips all the way, you need to unbuckle the bag to unzip the main compartment but this is not a terrible thing. Verdict: Minaal redesigned this bag based on some very minor gripe but honestly I am enjoying the original Carry-on more than the upgraded version. This bag accompanied me to Iceland and it was the perfect amount of space, packing cubes were necessary to keep the bag organized but everything about the bag’s design made my trip that much more enjoyable and hassle-free. Also unlike the 2.0, the original Minaal Carry-on can be found at a great used price. 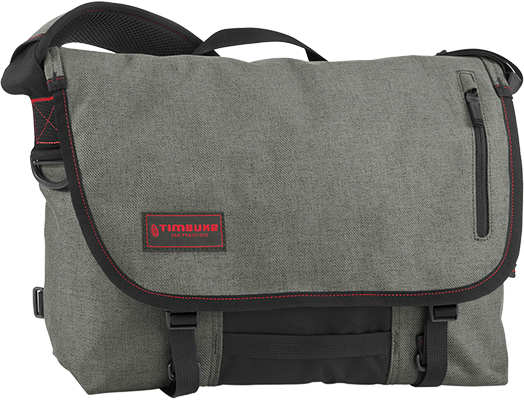 Likes: Durable construction and materials, good amount of organization options for a small messenger, padded laptop compartment doubles as a removable laptop sleeve and fits my 14” Thinkpad X1, stylish but understated look, roomy interior for a “small”. Dislikes: Main flap is held down by velcro, the latching straps are a bit long and flap around when I’m on the go, form factor is quite small making it suitable as a day bag but little else. Verdict: As a grab-and-go messenger bag for taking my laptop, a few accessories, and books out on the town it’s an excellent fit. I’ve done weekend trips with this bag as well, the messenger design works in this small bag’s favor. Velcro means I hate tearing the bag open but little else irks me about this great little day bag. 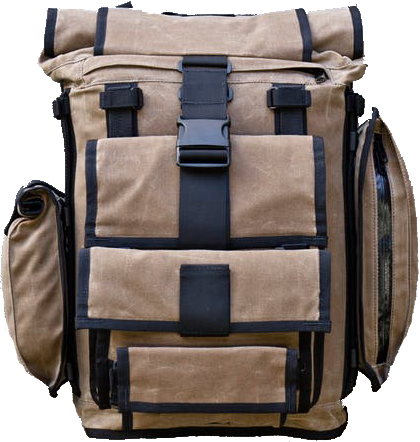 Likes: Distinctive look, solid construction, innovative modular design means I can add as many compartments as I please to the base pack, well designed rails system leaves almost no gaps on the accessory mounts, no annoying straps or waist belts, functional and comfortable to wear. Dislikes: The base pack is just a rolltop bag that weighs 3 lbs by itself, and once you start to tack on accessories (in my case a Folio and Rolltop Pocket) this pack really gets heavy. The 20L compartment was roomy but still feels too tight and narrow for long trips. Waxed canvas was a nice choice stylistically but the material shows scrapes and scratches. Verdict: This bag excels as a daypack or book bag but due to the weight of the Arkiv system I would not be happy with this bag as a travel backpack. The accessory mounts impressed me, it felt like a bag and not a bunch of pouches hanging off of the main pack, but the 20L size didn’t feel practical for my needs. 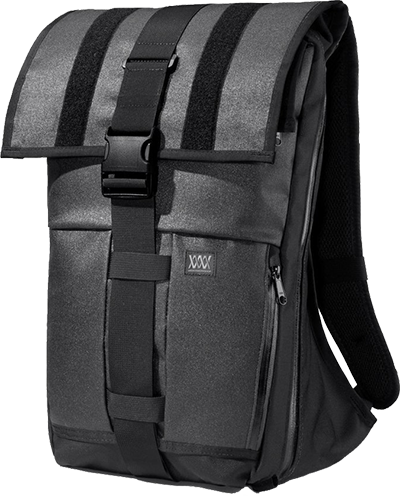 Likes: Very stylish, quality materials and construction, inventive pocket configuration (but only for narrow items), minimal velcro, comfortable shoulder straps. Dislikes: 20L isn’t enough space for a week long trip. Top loading means a lot of repacking and fishing around for items, plastic clips might break eventually, only allows for carry as backpack. Verdict: Sturdy and stylish pack that will make for a good backup bag, but with its top loading construction and 2 compartments for packing it’s not ideal for long excursions. Likes: Sharp looking bag with multiple carry options, plenty of room in the main compartment and easy to pack since it zips completely open, very well conceived design that gives just enough storage without being too complicated, quality build and materials. Dislikes: I can understand why there’s a zippered flap for hiding the backpack straps but would prefer another solution, the laptop compartment felt reductive and awkward, water bottle holder unbalances the look of the bag, but my biggest issue here was the price. 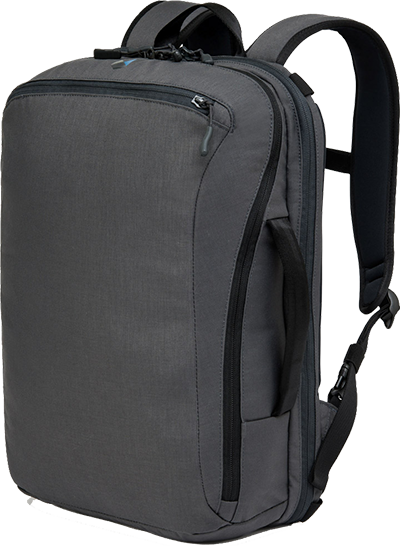 Verdict: A stellar choice for Onebag travel given the ample storage and carry options, well crafted and engineered but a few of the design choices left me feeling like it wasn’t worth $300 + shipping. Likes: Functional and sleek, materials look and feel superb, main compartment opens up all the way, versatile carry options, a compact bag that feels technical without any of the BS. 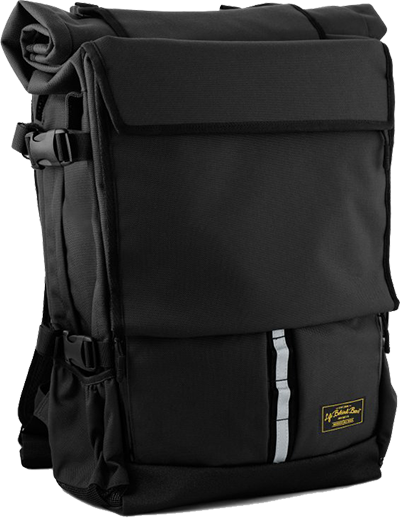 Dislikes: Enough space for carrying the essentials but not enough room for trips longer than a weekend, I wish there were a few interior pockets or another zippered area for organization, separate laptop compartment on the back feels like wasted space. Verdict: Essentially a shrunken version of the Carry-on 2.0 but the design concept doesn’t quite work for an everyday carry bag, Minaal should have put their energy into creating a different bag that solves a different problem. Likes: Industrial and slightly punk aesthetic, expandable main compartment gives bag more functional purpose, works as a rolltop or over-the-flap closure, comfortable to wear even with a lot of weight inside. Dislikes: Tall and narrow pockets reduce packing possibilities and increases frustrations fishing stuff out, only functions as a backpack, elastic instead of interior buckles would have been nice, carry capacity in non-expanded mode seems a little restrictive. Verdict: This bag was fantastic and it got me very interested in trying the next size up, The Vandal. If it were not for the tall and narrow pockets being so limiting and the relatively small size of the interior compartment when not expanded I would have held onto this bag. Likes: Adaptable to any on-the-go situation, cool front pocket for miscellaneous gadgets and tools, expandable interior, uniquely styled and comfortable to wear, a well crafted and well designed bag from a boutique manufacturer in Jakarta. 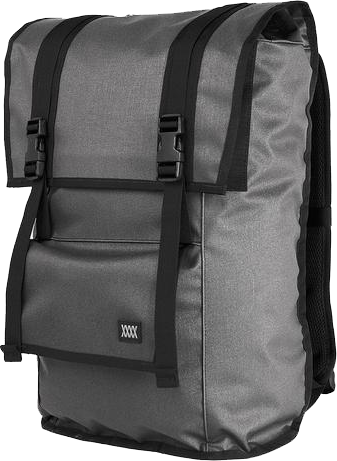 Dislikes: Bulky and heavy for a travel bag, the front pocket is geared towards carrying tools and bike accessories and not so great for tech items, main compartment is spacious but not enough room for a week’s worth of travel, bag feels like more form than function. Verdict: The Peloton Rolltop, as the name suggests, is almost exclusively oriented to people who are on their bikes day in and day out, though there is an organizer in the front pocket the bag lacks practical storage, and being a rolltop pack, I ended up unpacking and repacking the bag more than I would have liked. Would be perfect for bike commuting, not so much for globetrotting. This post was last updated 3/21/2018.